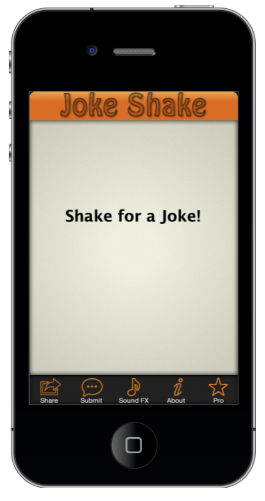 Preloaded with over 1250 jokes, this app is guaranteed to have you in stitches! Very simple to use, shake the app, recieve a joke, which you can also share by Twitter, Facebook or SMS to all your friends! Also includes 3 sound FX to compliment the joke you tell! We have also included a submit button for you to send us your joke!